[PDF] Violence against Women under International Human Rights Law | Free eBooks Download - EBOOKEE! Description: Since the mid-1990s, increasing international attention has been paid to the issue of violence against women however, there is still no explicit international human rights treaty prohibition on violence against women and the issue remains poorly defined and understood under international human rights law. 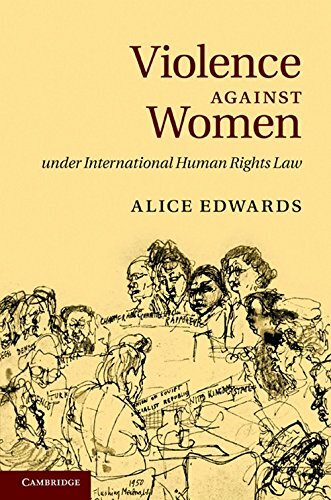 Drawing on feminist theories of international law and human rights, this critical examination of the United Nations' legal approaches to violence against women analyses the merits of strategies which incorporate women's concerns of violence within existing human rights norms such as equality norms, the right to life, and the prohibition against torture. Although feminist strategies of inclusion have been necessary as well as symbolically powerful for women, the book argues that they also carry their own problems and limitations, prevent a more radical transformation of the human rights system and ultimately reinforce the unequal position of women under international law. No comments for "[PDF] Violence against Women under International Human Rights Law".